Some of us students from level 3b went out and had a great aperativo at a popular sushi restaurant called Wasabi in the Moscova area. And if you don’t know what an Aperitivo is and how it works, don’t worry, because even after I was here in Milan for 2 months, I still didn’t know what it was until I finally went to one. 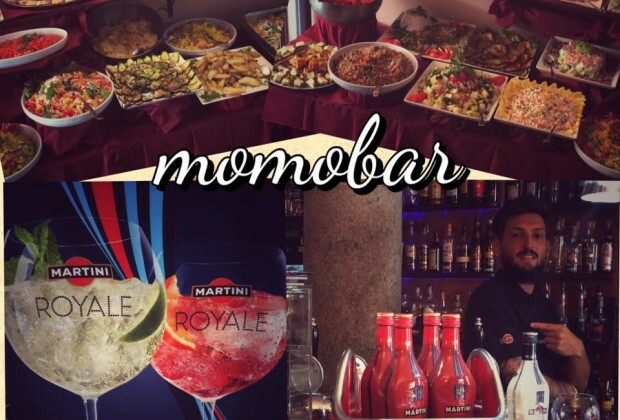 In Milan there are many different bars and restaurants that open their doors for "Aperitivo" during the evening hours from approximately 6:30 pm to 9 pm. In a way an aperitivo is similar to a buffet where you pay 1 flat price and you can eat all that you want. During this time, you usually pay one flat cost, that goes from 6 to 10 Euros for a drink with or without alcohol and once you have paid for your first drink, you can eat all the food that the restaurant provides. Most restaurants and bars will allow you to eat as much as you want and how many times you want, which is all included in the price of the first initial drink that you pay for. For example, I went with friends who each had one drink with alcohol in it. I had bottle of water and my water cost 10E, pretty expensive for water right, yes it is, but that is how an aperitivo works. In a sense, you are paying for the cost of the food per person along with your drink. But after you pay for your drink, you are free to eat how much you want. That is what makes an Aperitivo fun and worth paying for, depending on where you go and what the particular restaurant serves. Now back to Wasabi, where we had our Aperitivo. We chose Wasabi because everyone our group loves sushi and some of them had already been there and really liked it. So we went there. We all took the Green Metropolitana (Subway System) to the Moscova Stop and walked to the restaurant. When we arrived, we sat outside so we could “people watch” and practice our Italian together. We ordered our drinks and when they came our server asked us to pay for them. We all paid 10€ each for our drinks and after we paid, we were allowed to eat as much food as we wanted. Inside Wasabi they had at least 10-12 different platters of food. They had crab tempura, salads, sushi and many other things to choose from. I loved it. I had 4 rounds of food, because it was so good. I probably ate too much, because my stomach was really full afterwards, but it was all worth it. I liked Wasabi so much that I tried to go again we some friends from school one week later, but they weren’t open. We tried to go again on a Monday and sometimes restaurants are closed on Mondays. I was very disappointed, because I really wanted to eat there. After having my first Aperitivo at Wasabi I have tried several other restaurants. Some have been good and others haven’t. So I want to leave you with a few important things to think about when you’re selecting a place to have your Aperitivo. remember that different restaurants and bars have different style apperitivos. Some restaurants continuously prepare their food and allow customers to select how much they want to eat throughout the time that the restaurant holds the aperitivo time. There are also restaurants that only serve you 1 portion size that they select. In some cases this isn’t as fresh because they prepare it for customers in advance so they don’t have to make more food throughout aperitivo time. These types of restaurants are usually more focused on the dinner customers that they will have, because the restaurant knows that in most cases that dinner customers will spend more money. Some things to know about this type of style of aperitivo, is that sometimes the food can be a little less fresh, because they prepare it earlier in the day. Different restaurants have different types of food. For example Wasabi served sushi and other Japanese dishes, but other places can serve things like pastas, cheeses, breads and risottos. Different restaurants serve different food, so remember that not all aperitivos are the same.